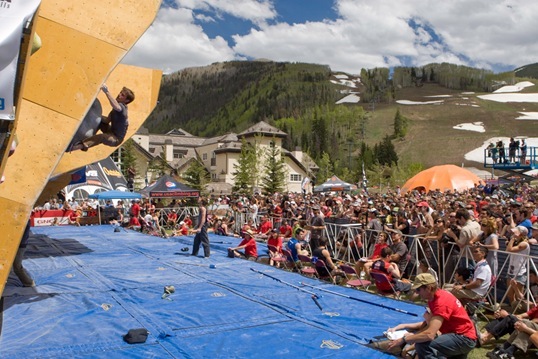 The International bouldering circuit returns to American soil today with the kick-off of the Bouldering World Cup at the Teva Mountain Games in Vail, CO. Last year’s event was highlighted by Alex Johnson taking it down for the women and Paul Robinson finishing third for the men. Unfortunately the weekend forecast looks sub-optimal for outdoor bouldering. Let’s hope that changes. It will be very interesting to see how the U.S. team fares this year. Can they build on the success of last year and put more climbers on the podium? Based on the team we have (listed below) it looks promising, but World Cup events are notoriously difficult, especially for first time participants. 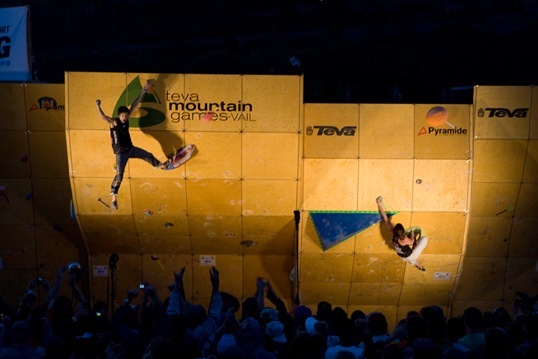 Other notable men competing are returning champ Kilian Fischhuber, Nalle Hukkataival and Andre Di Felice. Other notable females competing are Anna Stohr, Melissa LaCasse and Andrea Szekely who apparently hasn’t been born yet. I’ll update this list as I notice others providing useful updates. 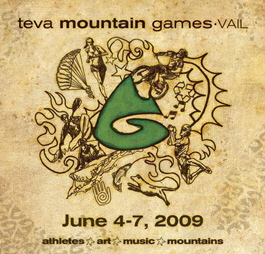 Good luck to everyone competing!